New Year’s is quickly approaching and with this holiday and the ringing in of a new year, we like to enjoy valuable time with friends and family members. These celebrations oftentimes involve alcohol, and that’s okay as long as driving isn’t thrown into the equation. 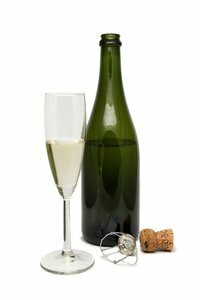 If you’re throwing a New Year’s Eve party, it’s critical to ensure that your guests are cared for properly. Liability for Massachusetts personal injuries that are caused by a person being over-served alcohol can stem from two separate types of situations — Dram Shop Liability and Social Host Liability. Our injury lawyers in Boston understand that Social Liability Host is going to affect many Bostonians. This is in place to help to regulate personal get togethers and helps to regulate the liability of private individuals who may negligently serve alcohol to guests in their residence. When these guests are over-served and cause injury or death to third parties or even to themselves because of their intoxication, someone has to be held responsible. Another important factor in this law is serving to minors. Party hosts are also required to keep an eye on the ages of the individuals who they are serving. -Provides alcohol to someone as an act of hospitality. In these cases, there is no money being exchanged, like there is in a bar or restaurant. -This person does not have to have a certain kind of relationship to the guest, and they can be simply that — a guest. -Provides alcohol to the guest or otherwise permits or allows alcohol to be consumed on property or premises that the host of the party either owns or controls. In Massachusetts, the mere act of providing alcohol and permitting its consumption is sufficient to result in liability. Massachusetts does provide some social host liability for those hosts who serve alcohol to minors if that child is later involved in a serious or fatal traffic accident. -Make sure that there are safe and sober driving arrangements made for guests who may need them. -Never push drinks on party guests. Always make sure that there are plenty of non-alcohol beverages available. -If you provide an open bar, be sure the bartender has had server training to prevent over-serving and serving guests under the legal drinking age. -Consider hosting a party at a bar or restaurant. This places responsibility on trained servers rather than you. -Serve alcohol instead of having an open bar. Some people may drink more if they are given unlimited access to free alcohol. -Make an agreement with friends to take turns being a designated driver to all events. -Don’t double up. Many mature and wise people count and pace their drinks. If you serve doubles, they will be drinking twice as much as they planned. Doubling up is considered rude. -Provide plenty of food to keep your guests from drinking on an empty stomach. -When your guests arrive by car, collect their car keys. That way, when they are ready to leave, they must get a second opinion on whether they are sober enough to drive home.